Christmas is just a couple weeks away so if you haven’t started your gift shopping yet, you better get on it! 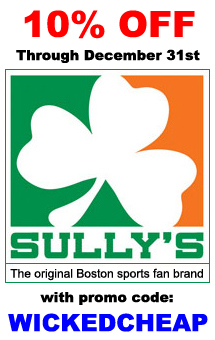 If you’re having trouble picking out a gift for somebody and they happen to be a huge Boston sports fan (highly likely around these parts) then check out Sully’s Brand, ‘The Original Boston Sports Fan Brand‘. 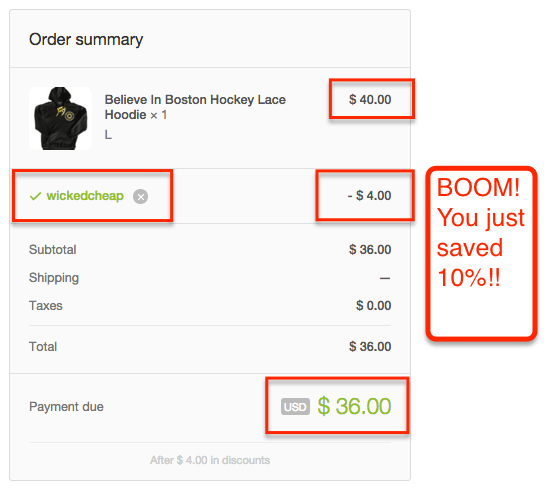 To make it even easier on you, I’ve teamed up with Sully’s Brand to offer Wicked Cheap Boston readers an exclusive 10% coupon code. The discount code is wickedcheap and it should work on all apparel, accessories, novelties, etc. However, it will not work on gift certificates. Here’s how you enter the discount code. Step 1: Add some items to your cart and proceed to checkout. 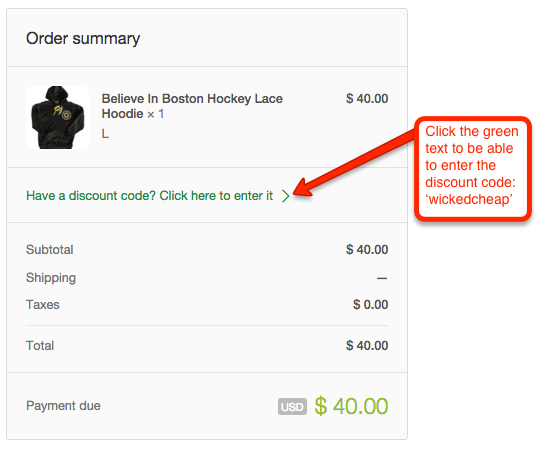 Step 2: Click the green text to enable the ability to enter a coupon code. 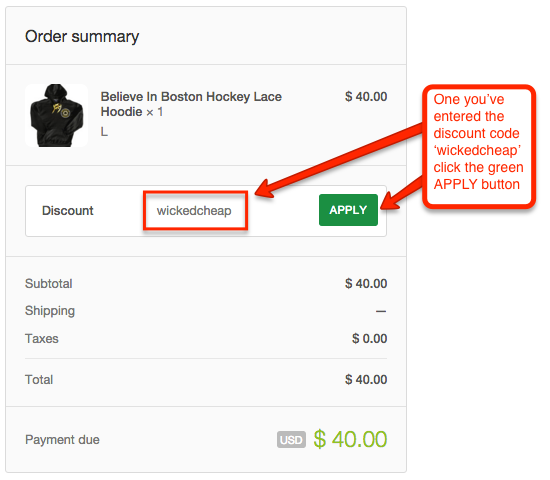 Step 3: Enter the promo code wickedcheap and click the green APPLY button. Step 4: Double check that the 10% discount has been applied. Proceed with completing your purchase. Step 5: Wrap and deliver/give to your Boston sports fan on Christmas. Step 6: Accept thanks and hugs and feel good about knowing you just saved Christmas, and 10%! Still not sure what to buy? 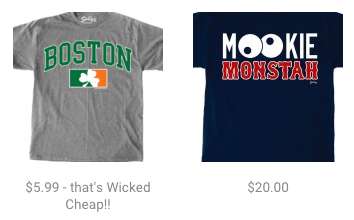 Well, I shopped around their site at some of the Boston t shirts and I personally like to keep my style simple, nothing too bold, so here are a few of my favorite Sully’s Brand Boston sports t-shirts. 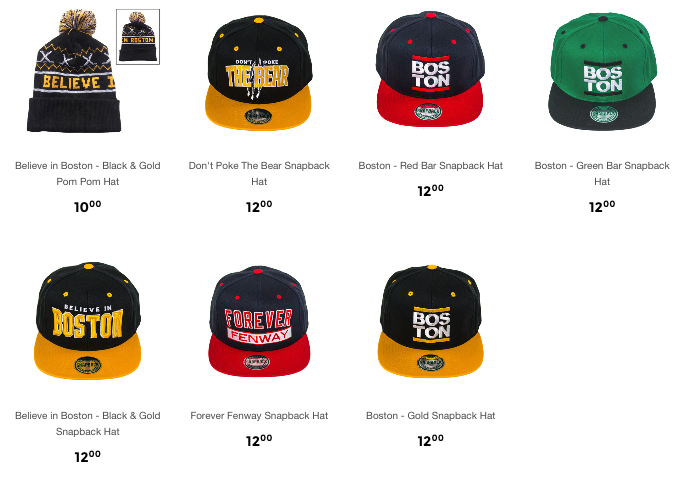 Here are some of the top selling Boston hats they offer. 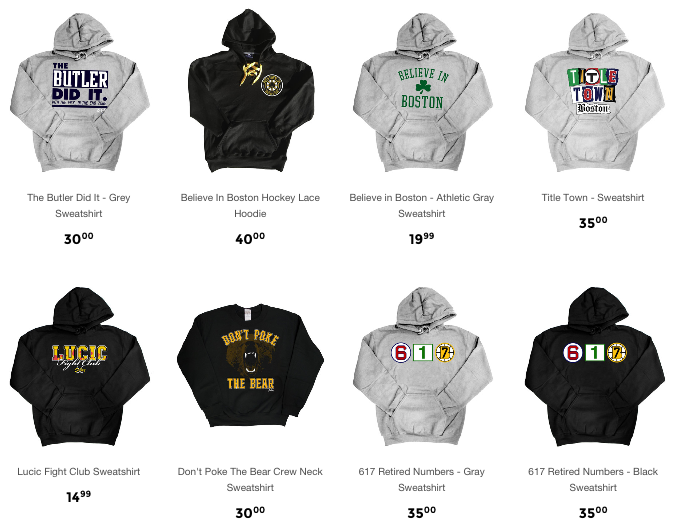 Here are some of the top selling Boston sweatshirts they offer. They also sell novelties like banners, posters, pennants, magnets, flags, and stickers. And they sell other accessories like keychains, license plate holders, car air fresheners, lanyards, bracelets, jewelry, pins, patches, and phone cases. 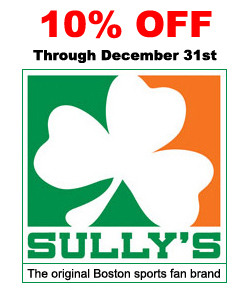 So, head to SullysBrand.com and use the wickedcheap discount code for 10% off now through December 31st, 2015.